A Long & Wonderful Birthday Weekend! I'm usually pretty lucky in that my birthday falls close to (or sometimes on) Family Day. This year, my birthday was on a Saturday and Family Day was the Monday, so we decided to have some friends up for the weekend and really enjoy a full weekend! I cooked a couple appetizers for the … Continue reading A Long & Wonderful Birthday Weekend! Some Things Never Change- & That’s Okay! My mom had started a 'salmon Friday' tradition a while back where she would pick up fresh salmon filets from Farm Boy and serve them with mixed veggies, a salad, and potatoes (usually)! Anytime we were home on Friday, we would get to enjoy this beautiful meal. Now that we live in Ottawa, we decided … Continue reading Some Things Never Change- & That’s Okay! Chicken Dishes for the Healthy Win! Pan Lemon and Truffled Chicken with Asparagus, Cherry Tomatoes and Brown Rice: Ingredients: 3-4 chicken breasts (we'll have 1 leftover for lunch), 1 whole lemon (sliced), 1 small carton of cherry tomatoes, 2 tbsp truffle oil, 1/3 cup of bottled lemon juice, 1 bunch of asparagus, 2 cups of brown rice, fresh ground pepper and … Continue reading Chicken Dishes for the Healthy Win! Yesterday evening, we celebrated Eric's uncle Malcolm's 50th birthday at the Nordik Spa in Chelsea with our own personal party cabin! We enjoyed Beef Bourguignon for dinner with lots of beautiful red wine and various cakes and lots of Champagne for dessert. Here's the recipe for Beef Bourguignon from Canadian Living. You can of course double … Continue reading Happy 50th Birthday Malcolm! It was Thursday and after both of us getting over our colds and coughs, we were ready for flavourful food and a nice bottle of wine! After visiting with our friends from Mexico and being inspired by starting my Spanish course, I decided a Spanish tapas night was a perfect idea. Feeds: 2-4 people Part … Continue reading Tapas Night! ‘Tis The Season to be Celebrating! Christmas is my second favourite time of the year (obviously I love Thanksgiving the most)! I love getting together with friends and family to toast the holidays and celebrate a little time off. I have a few things to get off my chest: -What are some good gifts for lovers of food and drinks? -What … Continue reading ‘Tis The Season to be Celebrating! A Decade of Love (& Fine Wine)! On November 29th, we celebrated our 10 year dating anniversary. We've had so many years to try different foods, wines and champagnes, so I like to say our taste is vintage. We kicked it off with some fondu (swiss cheese fondu, yellow and red pepper mix, portobello mushrooms, baguette, cherry tomatoes, Vienna sausages, green and red … Continue reading A Decade of Love (& Fine Wine)! Of course, it's pretty obvious from my living stint in Montreal and the amount of photos I posted at games, I'm a Montreal Canadiens fan. Now that we're in Ottawa, we'll take what we can get! For my grandpa's birthday, we got tickets for the group of us to go to Habs vs. Sens at … Continue reading Allez-It’s Hockey Season!!! Thankful for a LOT of Things! Thanksgiving weekend was a huge success- and now I'm feeling huge. So much food, so much wine, and so many good times! The weekend started off with a celebration here in Ottawa for my mom's birthday. I took a sweet trip to Suzy Q doughnuts and was easily persuaded to buy 6 donuts for 4 of us … Continue reading Thankful for a LOT of Things! Tis the saison! I'm happy to say that October is my favourite month and fall is my favourite season. With Thanksgiving weekend coming up in a few short hours, I took some time at the LCBO to pick out some interesting choices of beer, wine and whiskey. I of course also took some time to hit … Continue reading Tis The Saison! Breakfast is the most important meal of the day! My top breakys to keep me going during a long day or to wake up to on a sweet and slow Sunday, are chia seed puddings and french toast bakes. The chia seed puddings are made with almond milk, cocoa, honey, and cinnamon topped with bananas … Continue reading Bulk-up for Breaky! This past weekend, I visited my best friend in Toronto. We went to TURF music festival, ate all the food, drank all the wine and partied probably too much! Lunch: Completo's Chilean sandwiches. We all had the Churrassco on gluten free buns (chorizo sausage, mashed avocado, lettuce, tomato, house hot sauce and roasted red pepper sauce): https://www.zomato.com/toronto/completo-leslieville/menu Dinner: … Continue reading T.O. His Pesto is the Besto! Taking on a classic line from F.R.I.E.N.D.S... I had to ask Eric, "Is your pesto the besto?" hoping he would respond "I don't know, but I'd say it's pretty good-O!" but- he didn't. Even though he's not one for the friends lines, he can at least make some incredible pesto for us! With our boisterous … Continue reading His Pesto is the Besto! July & August were full of ALL the adventure! My sister and I jetted off on yet another adventure to South America and immediately dove into the food, wine and beautiful culture. Our adventure started off in Bogotá, Colombia for a quick layover involving some exploring of the city centre and a desperate need to locate fresh, authentico … Continue reading Ecuador- I ecuADOR(E) you! It was a good couple weeks of back and fourth from Montreal to Ottawa, but now we're here, settled into our jobs and thankful for the exciting start to the summer already! Savoy Brasserie for Sunday Breaky: to kick off the newly started dental clinic in Westboro, our amazing boss treated us to some delicious breakfast … Continue reading Hello, Ottawa! It has truly been an incredible year in this beautiful city and I can't believe it's already over. Thanks to all the foodie's on Insta, Blogs, and cookbooks and some amazing friends for sharing their favourites so I could find mine. I'm going to share a few last gems in the big city before I … Continue reading Au Revoir, Montreal! We recently got back from Mayan Riviera, Mexico in May and it was incredible! We stayed at the Valentin Imperial Maya and truly indulged in food, wine, margaritas, the sun, the sand, and the beautiful people. Every morning, we enjoyed breakfast on the beach, mimosas and the best assortment of fresh fruits, crepes, and omelettes. Every lunch, … Continue reading Hola, Mexico! As a celebration for Eric's 25th birthday, we did taco night with Beau's lugtread Belgian style ale (YUM! ), an oreo cheesecake from Rockaberry (where else, really?) for dessert and a beautiful bottle of spumante sparkling wine from Italy from Farnito (tasted like a Franciacorta- buttery and full) to toast the milestone. We then travelled back … Continue reading Happy Birthday Eric! A very happy Easter weekend indeed! The weather was gorgeous, the food was delicious, and the wine kept flowing. Friday night, we started in Kingston at grandma's for ham, scalloped potatoes, ginger carrots, coleslaw, and C'est La Vie Pinot Noir Syrah from Pays D'Oc, France. Yes, I'm aware Pays D'Oc isn't the most prestigious area for … Continue reading Hoppy Easter! St. Sauveur- St. So Good! A few weekends ago, we enjoyed a trip to St. Sauveur for our last bit of skiing (amazing Spring weather), some drinks, and some gourmet grub. With the warm weather, we took advantage of some beautiful patio beers in Adirondack chairs and some red wine and classic ski hill poutine. Once it cooled down for … Continue reading St. Sauveur- St. So Good! A Big MERRRRRY CHRISTMAS to Everyone! I hope everyone enjoyed the holiday season. I would proudly like to share that my mom won Christmas by buying my boyfriend and I all new Lagostina pots and pans along with several other beautiful kitchen items. I also received two very nice cookbooks, a cocktail book and a … Continue reading Merry Christmas! Well, anyone that knows me (even for a brief period) knows I love the SAQ with a passion. 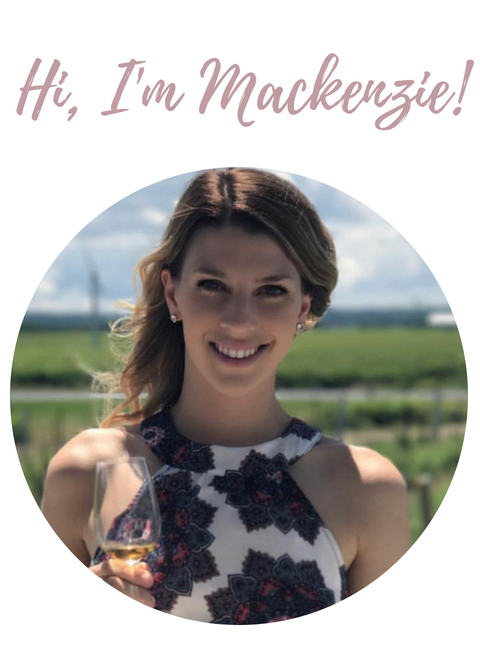 Yes, I enjoy wine and scotch, and pretty well everything made the right way... but my love for SAQ involves a fair bit of passion for more than just the product. It depends on which location you go to … Continue reading SAQ, I love you. Obviously, 5 Saisons is decorated beautifully in the fall and it just seems to entice you to go in and buy everything. This grocery store is amazing. Think fresh, gourmet, upscale. I'm very lucky to have this gem a 5-minute walk from work and go there several times per week for lunch. They have fresh sandwiches/panini's … Continue reading Les 5 Saisons Pour Chaque Saison! In August 2015, I took a pretty life changing trip to Peru with my sister. It sparked the travel bug and opened my eyes to how truly beautiful the world is. I couldn't wait to share the culture wave of foods, drinks, and cultural differences! Also keeping in mind, I did try to pair some of … Continue reading Peru… I love you and your food!